First introduced at the Consumer Electronics Show in January 1987 as the “Atari PC”, this was Atari’s first foray into the IBM PC Compatible market and would later be known as the Atari PC1. 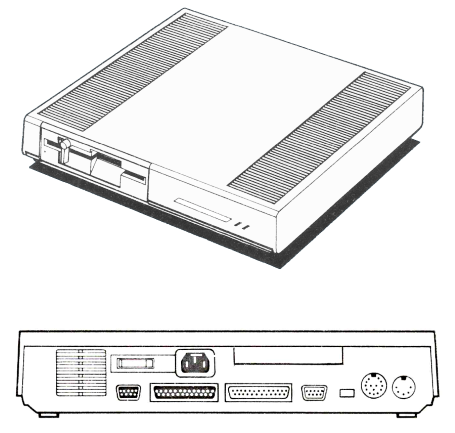 Priced at a US$699, it was marketed as Atari’s entry level system and was soon followed by the Atari PC2 also in the same year. Uniquely it reused the Atari Megafile 44 Chassis, however this came at a cost. Unlike many other IBM Compatible XT systems on the market (including the later PC2, PC3) the slim Megafile chassis did not allow for much in the way of upgrades via the addition of ISA expansion cards. Apart from being able to upgrade the RAM to 640K and to add an 8087 co-processor, you were very much limited in what you could do which is not all surprising for a budget PC.